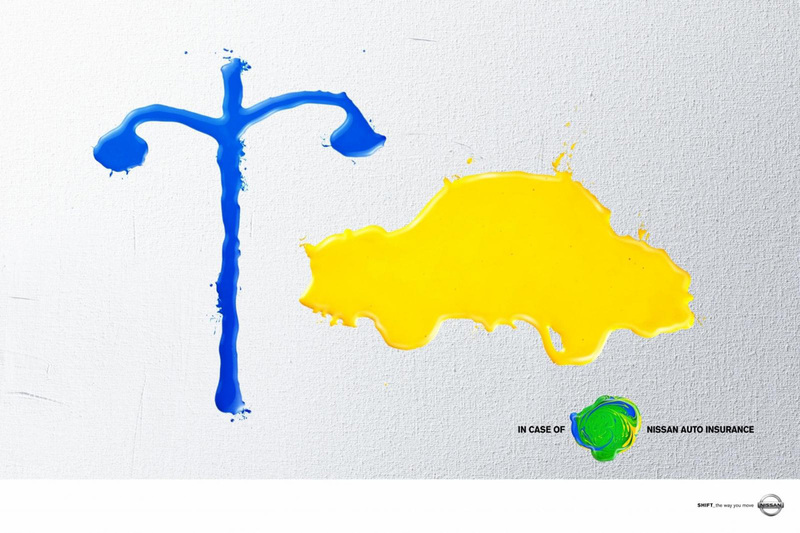 Nissan Auto Insurance is presented as the way to cope with contingencies with “In Case Of”, an advertising campaign from Brazil. Three paintings feature vehicles and objects in blue and yellow. 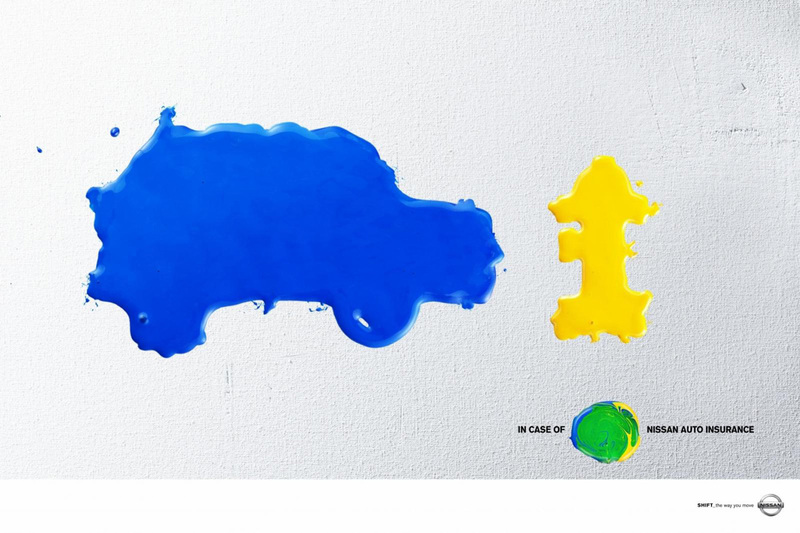 The tag line, “In Case Of” is associated with a swirling blob of green, the combination of the the two colours. 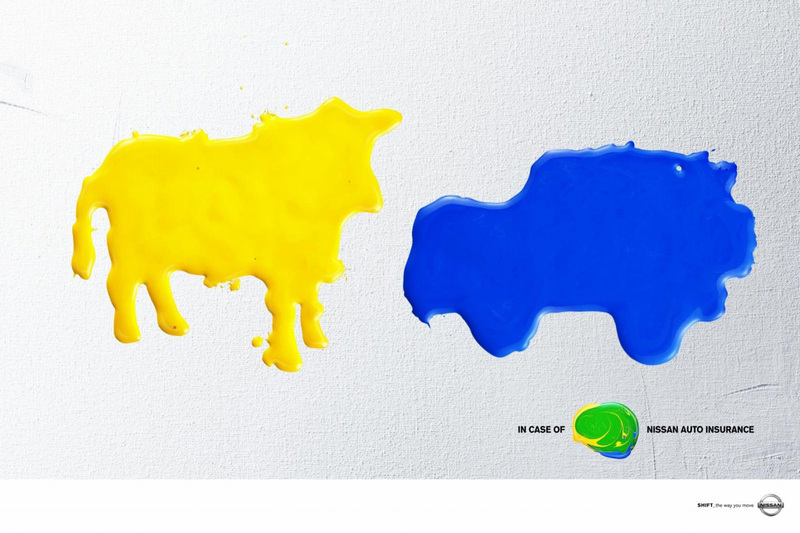 Three ads from the campaign, “Pole”, “Cow” and “Hyrdant” won a Gold Outdoor Lion at Cannes International Advertising Festival 2010. The Paint campaign was developed at Lew’Lara\TBWA, São Paulo, by chief creative officer Jaques Lewkowicz, executive creative director André Laurentino, creative directors Felipe Luchi, Manir Fadel and Luciano Lincoln, copywriter Marcos Almirante, art director/illustrator Marcelo Rizerio, advertiser’s supervisor Carlos Murilo Moreno, account manager Alexandre Baroni, account supervisor Fabricio Takahashi, producer Marcos Pedra, art buyers Giuliano Springhetti and Alessandra Sarilho, and photographer Paola Vianna.